Testing tee shot. Hit it slightly left of the marker post as everything runs off to the right. the second shot is a downhill approach to a green which slopes left to right & front to back. 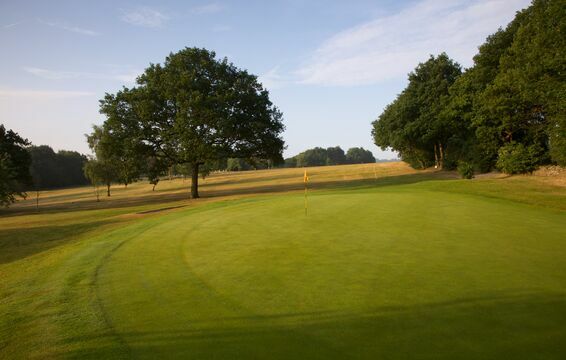 Tough green to with alot of undulation and difficult to judge the length of the approach, take your par and move on.